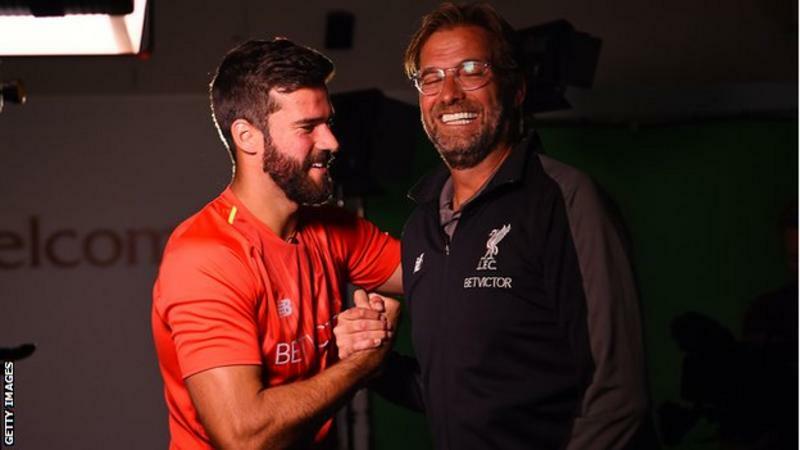 Liverpool make Alisson the world’s most expensive goalkeeper…. Liverpool have made Roma’s Alisson the world’s most expensive goalkeeper by signing him on a six-year deal. The Reds have not revealed how much they have paid for the Brazil number one but Roma said the deal is worth up to £66.8m (72.5m euros). “In terms of my life and my career, it’s a huge step for me being part of this club and this family,” said the 25-year-old. He has been at Roma for two years, playing 37 Serie A games in 2017-18.